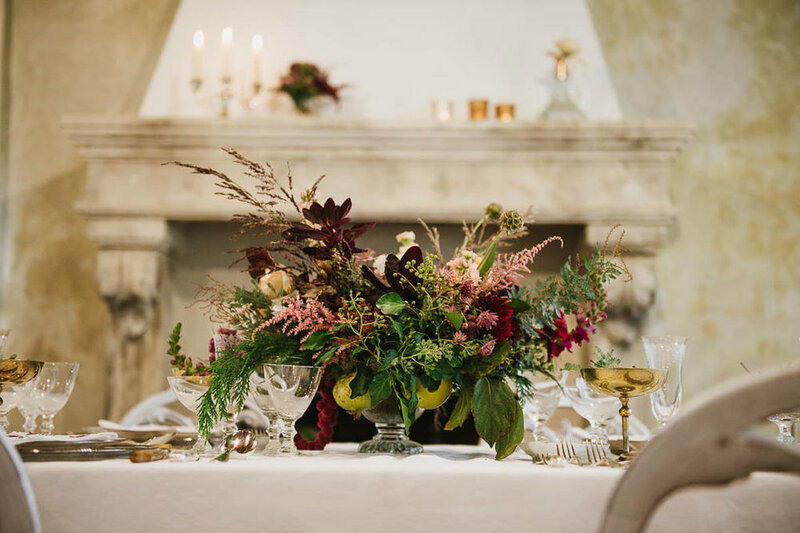 In October I organized a one day floral workshop focused on how to decorate a table from start to finish. I asked Manuela Piccoli an expert interior designer, to join us and to give inspirational insights on table etiquette. First of all I chose the style. I went for a very romantic, elegant and baroque look. While I was looking for inspiration I discovered that next year one trend in wedding decorations will be “New baroque”. I’m curious to see how the baroque style will evolve this time around. Baroque style always includes ornate gold, extravagant locations and luxurious decorations; how interpret it is completely up to you. I always choose the style and colours at the same time. It’s so important to have a clear idea of the palette from the start. 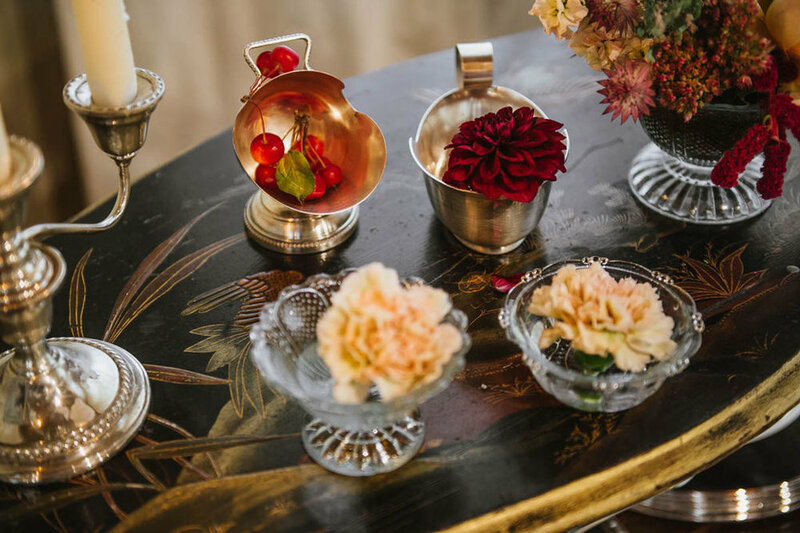 For this event I went for opulent shades of burgundy paired with bright pearl-ivory and gentle gold/caramel tones. 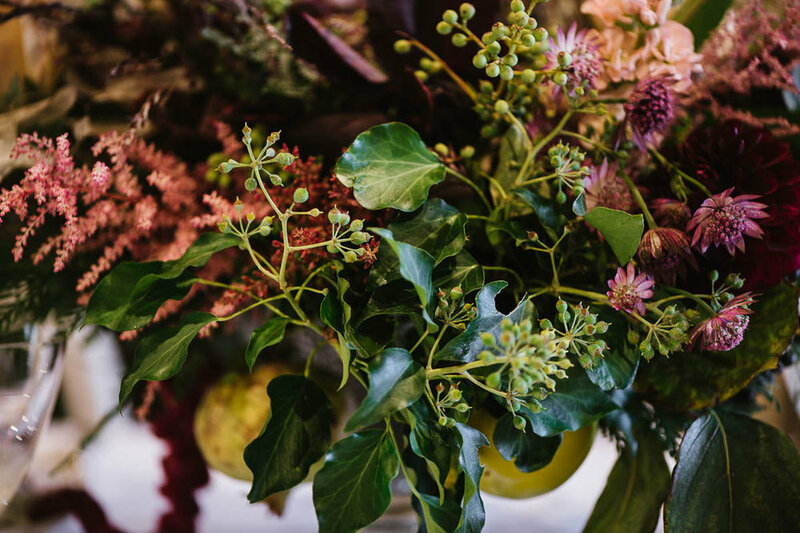 The selective use of colour gave me the freedom to choose the best flowers and greenery. Thanks to the different shapes and petals, I could express the uniqueness and elegance of baroque. Yves Piaget “Ivory” garden roses with their ethereal petals reminiscent of Japanese silk paper. After deciding on the style, colour mood and flowers I met Manuela in her atelier to select all the necessary items. Keeping the style and colours in mind we chose elegant and timeless white. 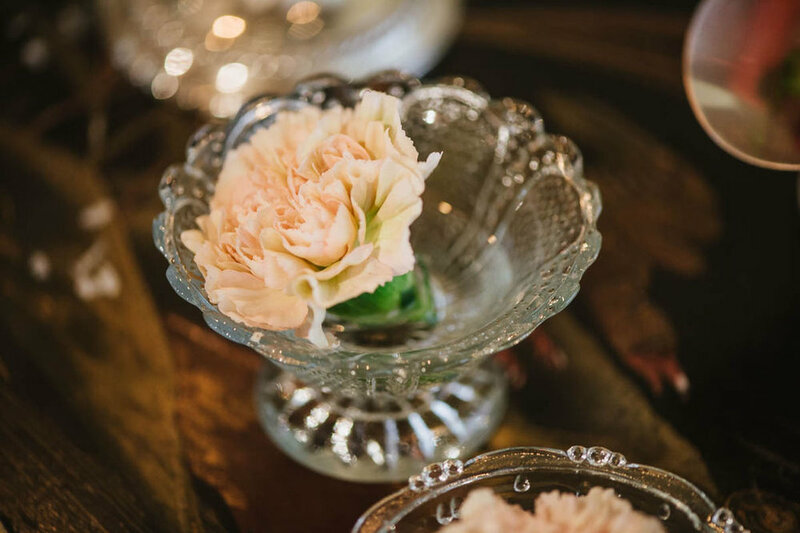 We picked out old linen table cloths, fine white bone china dishes decorated in gold, French cutlery and antique crystal glasses. When I’m decorating I never forget this golden rule. For this event it meant not adding any more colours to the ones we already had. Manuela and I immediately agreed that the best and only choice was white for everything. And don’t forget to enjoy yourself! 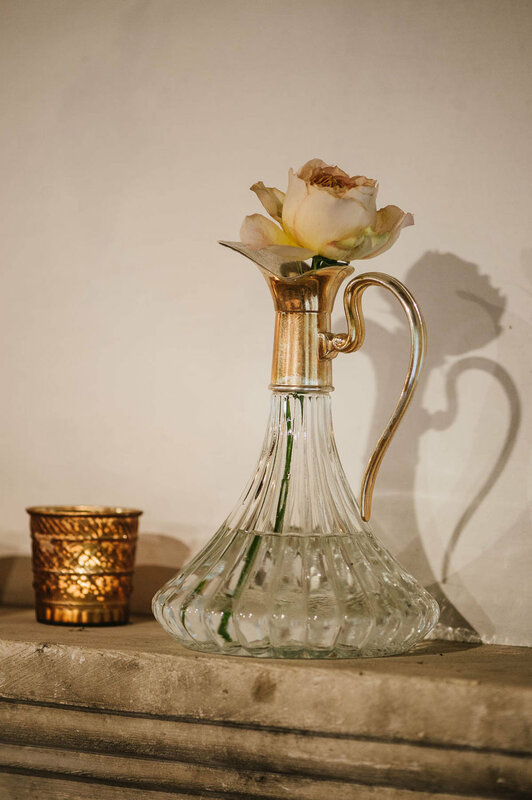 A big thanks to Orietta for having us in her beautiful relais and to Paolo for the incredible photos.